The Scottish Vocational Qualification (SVQ) in Warehousing, Storage and Distribution at SCQF level 6 allows candidates to demonstrate competence in job related skills in their particular area of work and expertise. Responding to problems in logistics operations and health and safety. This is a re-accredited award which has been developed through consultation carried out by Lantra to ensure it remains relevant to the sector. Upon successful completion, learners will gain an internationally recognised qualification which guarantees that they have the skills, knowledge and abilities required to carry out their role successfully. Employers will also benefit from their employees being proficient. Candidates can progress to a range of qualifications including SVQ Logistics Operations at SCQF Level 7. However, candidates have to be employed in relevant roles in warehousing, storage and logistics operations in order to generate the required evidence. Learners require skills and knowledge in warehousing and storage operations, moving, handling and storing goods, and a general understanding of the relevance of their role to maintaining the supply chain. There are opportunities to progress and gain wider experience within the logistics sector through promotion from basic warehousing and storage roles to supervisors/team leaders; traffic managers and logistics management (eg team leading, management, moving into traffic operations). For general information on how to assess this qualification, please refer to the document Guidance on how to assess SVQs. For detailed guidance on how to assess this particular SVQ, please refer to the Assessment Strategy and Assessors Guidelines for SVQ in Warehousing, Storage and Distribution at SCQF level 6. 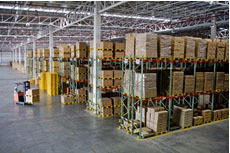 The SVQ Warehousing, Storage and Distribution at SCQF level 6 consists of 4 mandatory Units and 4 optional Units. This SVQ is a mandatory component in the Level 6 Freight Logistics. Logistics Operations level 3 (GF9E 23): contribute to the business; optimise use of resources; maintain health and safety; improve performance in logistics operations; provide leadership, allocate work and check work of team; customer service; health and safety of hazardous goods; compliance with legal, regulatory, ethical and special requirements; receipt, storage and dispatch of goods; minimise environmental impact; application of technology; international road transport operations. These SVQs are delivered and assessed in the workplace; or in conditions of the workplace. Entry is at the discretion of the centre. However, candidates have to be employed in relevant roles in warehousing, storage and logistics operations in order to generate the required evidence. Candidates require skills and knowledge in warehousing and storage operations, moving, handling and storing goods, and a general understanding of the relevance of their role to maintaining the supply chain. Assessor Guidelines (available below) include advice to help assessors choose the appropriate SVQ for each candidate. There may also be opportunities to progress to qualifications or membership of relevant professional bodies.